Welcome to the pub...pour yourself a pint of homebrew and stay awhile. 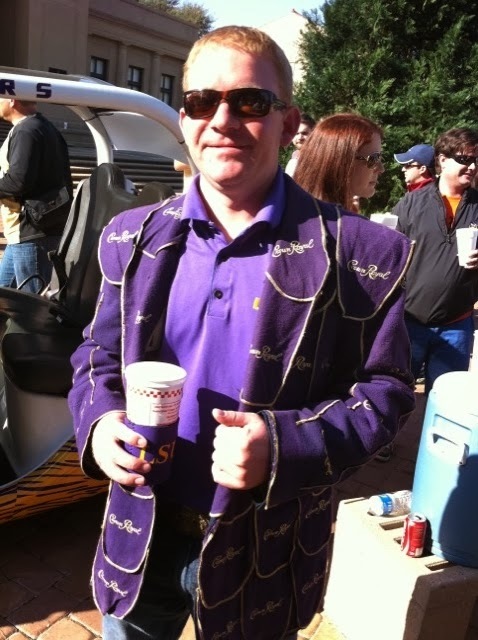 Here is the Crown Royal Jacket in all it's glory! I altered a bag and attached it as a breast pocket. I was able to finish the jacket just in time for Mardi Gras. Kirk and I waiting for the next parade to roll. I would say that I am an intermediate sewer and by no means a seamstress so please bear with me. 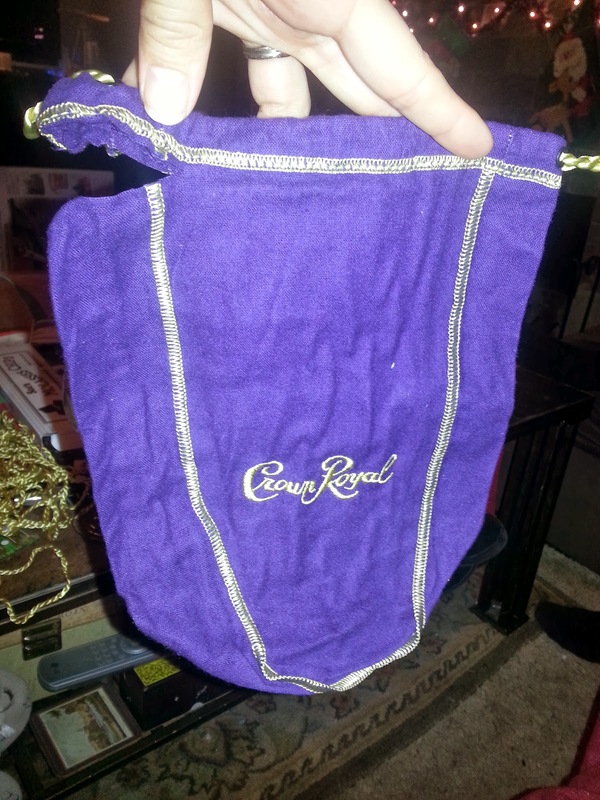 Start collecting Crown Royal bags! For this jacket, I only used fabric from the bags and the satin I used for the lining. I used approximately 160 (750 ml) bags for a 42 Regular sized jacket. No, we did not personally drink that many bottles! 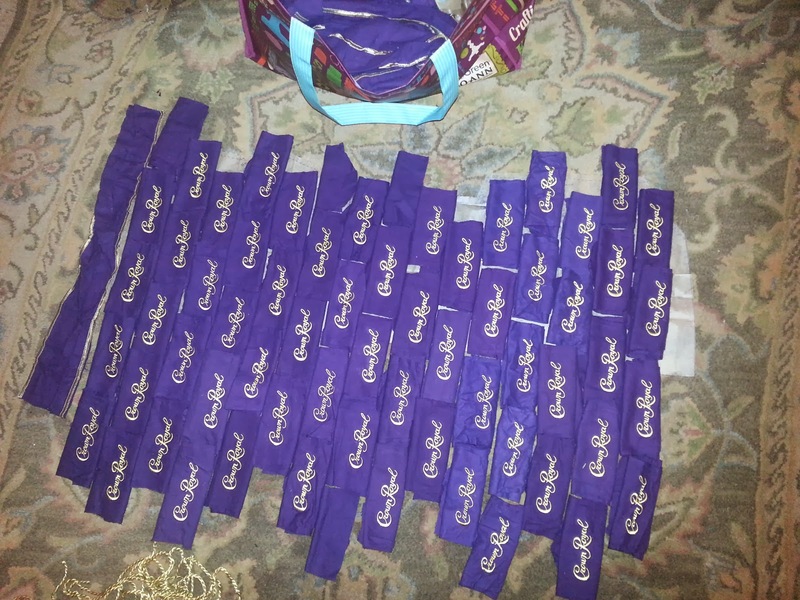 I bought most off of eBay in lots of 25 or more for about $0.30 to 0.50 a bag with shipping. If you have a friend that is a bartender, not in California, ask if they can save bags for you. For some reason, liquor distributors in California sell Crown Royal without the bags. Pick a pattern that you like and find one in the size you need. I choose McCall Pattern V8988 40-42-44-4-Vogue Pattern. 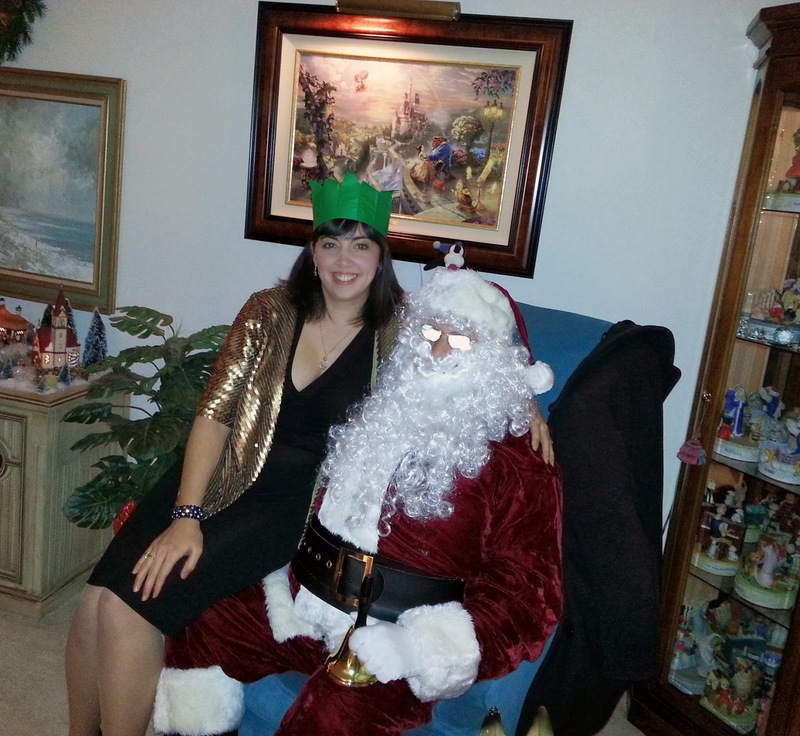 I cut out the pattern in my husband's size in gold satin and sewed the darts per the directions. Theses pieces will become the actual pattern. The pattern I choose did not have a lining, so I used these pieces later for that purpose as well. I decided not to wash the bags because this will be a dry clean only item and you do not need to worry about the fabric shrinking. I also wanted to keep that royal purple color. A few of the bags I bought ended up being washed and the texture was not the same as the "virgin" bags. Cutting the bags. Start with cutting off the top right below the seam where the drawstring is. Then cut out the front and back of the bags leaving the gold edging on the side strip. Continue going through the bags creating piles of the front, back and sides of the bags. Let me just start with flannel is not the easiest fabric to work with. I decided to fold the fabric in half with the logo centered as my quilting block. Doubling up the fabric gave the jacket more stability since the bags are pretty thin. Remember to press each block before sewing, press each seam, and press flat. The metallic gold threading on the side pieces will melt if touched directly with an iron so be sure to use a pressing cloth. At this point in the process, I was psyching myself out. I had only sewn one jacket before and I have never quilted. A sleeve seemed like the easiest place to start. 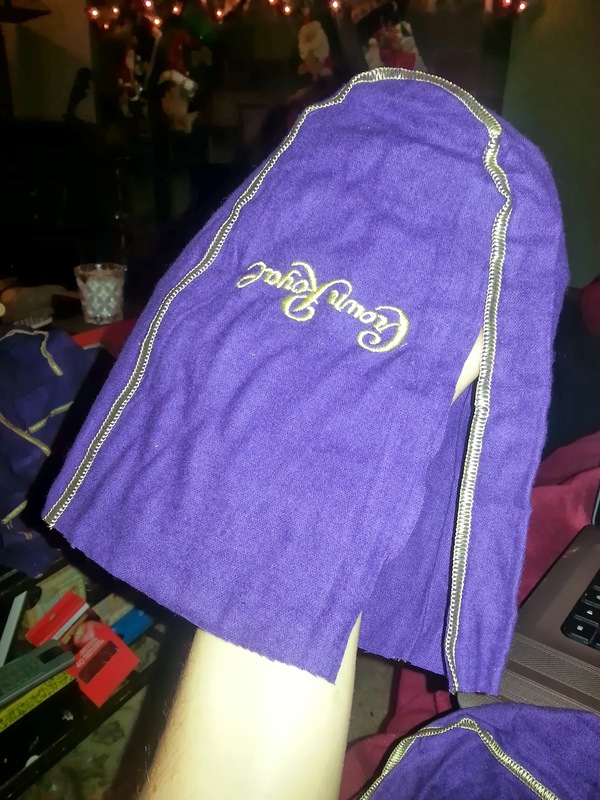 The back of the sleeve is solid purple so you can use the "back" pieces of the bag. You can use larger blocks of fabric since you do not need to worry about the logo. The front of the sleeves feature 8 logo blocks and two sides. This is the only place on the jacket that I used the sides. I hope to make a dress for me someday with those pieces. Here you can see some of the bags that were washed and how the color does not match. The back of the jacket has 60 logo blocks and a few blank back blocks. I chose a common bond, or staggered bond, layout for the blocks. It was easier to keep it symmetrical with layout. If a logo would end up in a seam or cut off I used a back block instead. One sleeve attached and one to go. The hardest part of the jacket was the lapel and getting the lining into the jacket. I ended up adding a thicker interfacing in the label then what the pattern called for and in the end I tacked it down. Flannel is not the ideal weight for a blazer but the lining did help with that. Since the jacket did not call for a lining I used some creative licensing when it came to front facing pieces to showcase more of the gold lining. He was quite the photo opp with the Crown Royal Jacket on. I received quite a few offers for people to buy it or for custom orders. It's a one of kind creation! 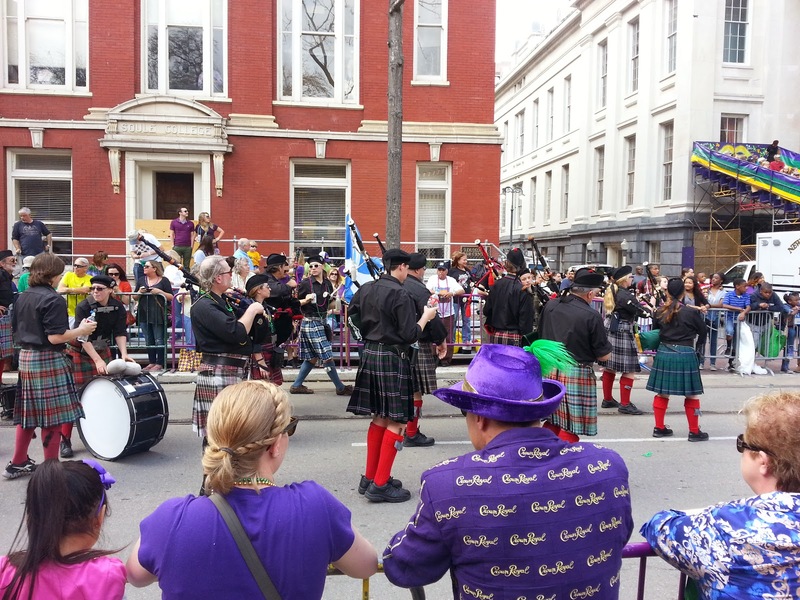 He is now asking for pants and a vest for our next trip to New Orleans and I think it would be fun to use some of the new Crown Royal Apple green bags mixed in. 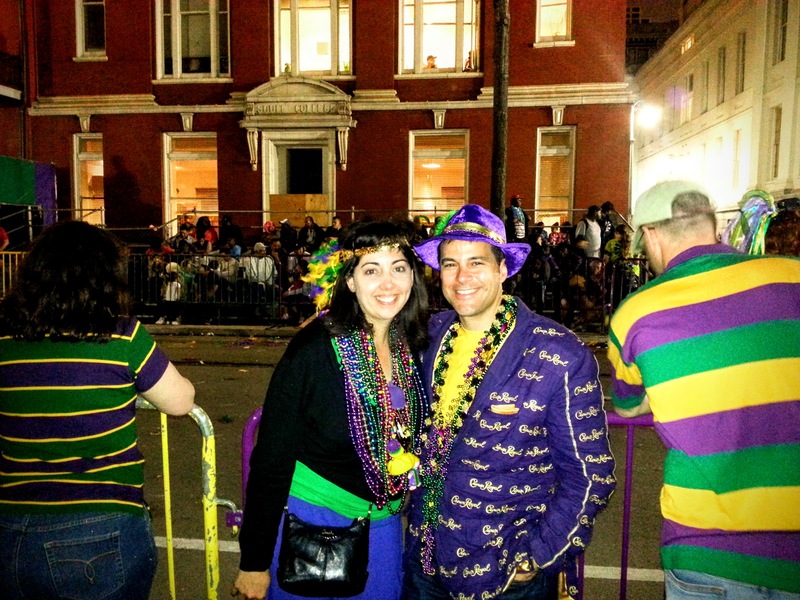 Even though I made the jacket with just Mardi Gras in mind, Kirk wears to our local wine walks, New Year's Eve and other festive drinking events. It makes me so happy that he is proud to wear something that I made. I am sitting by my Christmas tree in all it's glory and looking at my nativity all lit up. Today is the 12th Night of Christmas, Feast of the Epiphany, Little Christmas, January 6th, and my first day back to work since December 20th. Tomorrow will be a sad day when I unplug my exterior lights as I walk out to my car. I am not one for resolutions but I am working on a goal list for 2014. I for one am looking forward to a better 2014 than 2013. 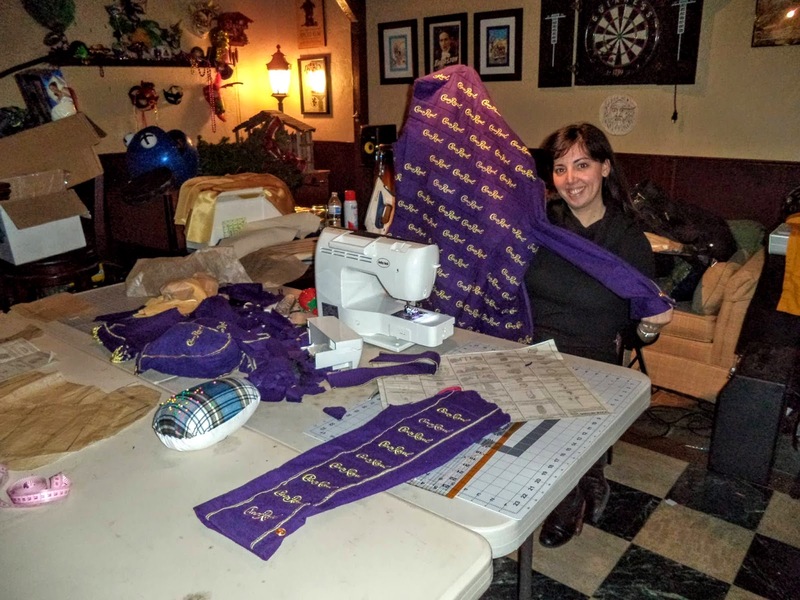 - Make a suit jacket out of Crown Royal bags. 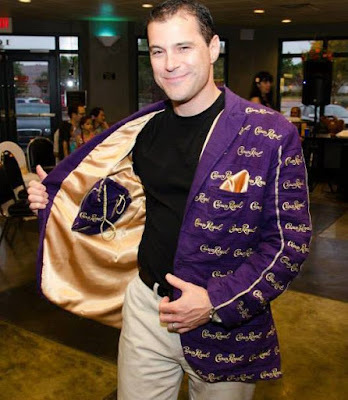 It has been my husband's dream to have a jacket made out of Crown Royal bags since we saw this guy at Mardi Gras a few years back (I wish I took a picture) and I am starting the project. I bought 130 bags on ebay and we have a few of our own. I will be doing a blog post on the project because I have scoured the internet and have not found a tutorial. I have sewn one whole jacket before and I have never quilted. This will be a combination since I need to quilt the squares and then cut the pattern. Wish me luck! 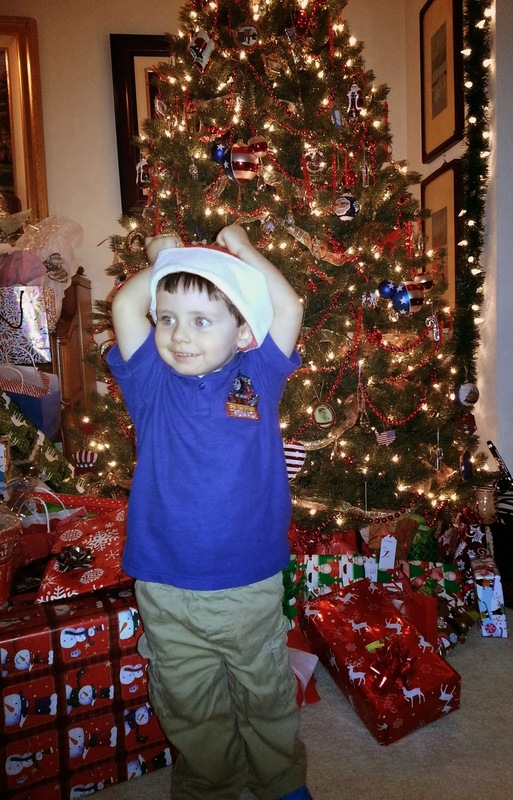 Photo Credit I want to improve upon this design with rectangular patches - not so "bag" like. 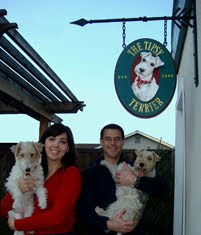 - Buy domain names for our blogs YouTube channel. (Check out my husband's blog on our ghost hunting vacations at Haunted Holidaze and our YouTube channel HitchhikerGhost where we share our paranormal evidence. I can check this off my list because I did this tonight! Now what to do with them. - I hope to start to post and sell items in my Etsy shop. I created the shop months ago and it sits empty. Let's see if I still like to sew after hopefully completing the jacket. - Complete a 30 day challenge. 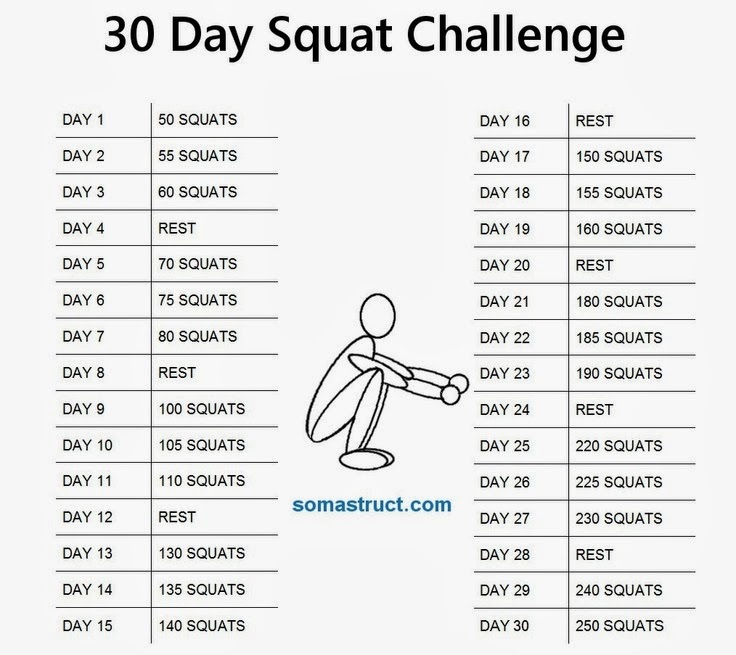 I am trying the 30 day squat challenge and I have made it through day 6 and I hope I can make it through the end of the month. Do you make New Years resolutions or goals? Or an item on your to do list that moving it's way up to the top? Today we awoke in the town of Schwangau at the Landhotel Guglhupf bed and breakfast and set off to visit two of King Ludwig II's castles. 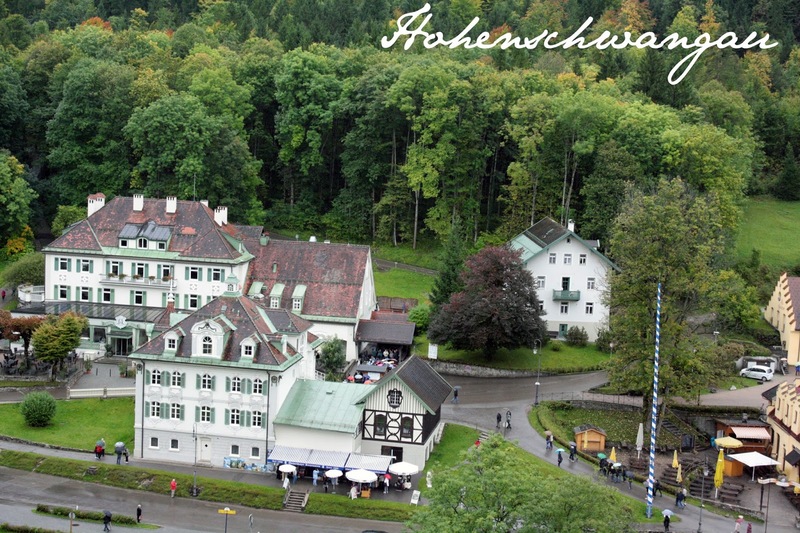 Hohenschwangau translated literally is "High Swan County Palace" and was built by King Ludwig II father, King Maximilian II in the 19th century as a vacation home. 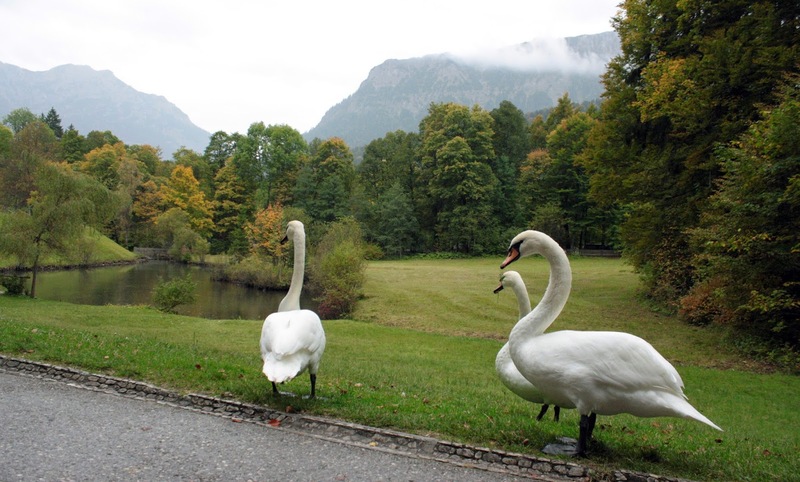 This area must of had a large population of swans for quite sometime because the first fortress built on this site in the 12th century was called Schwanstein. 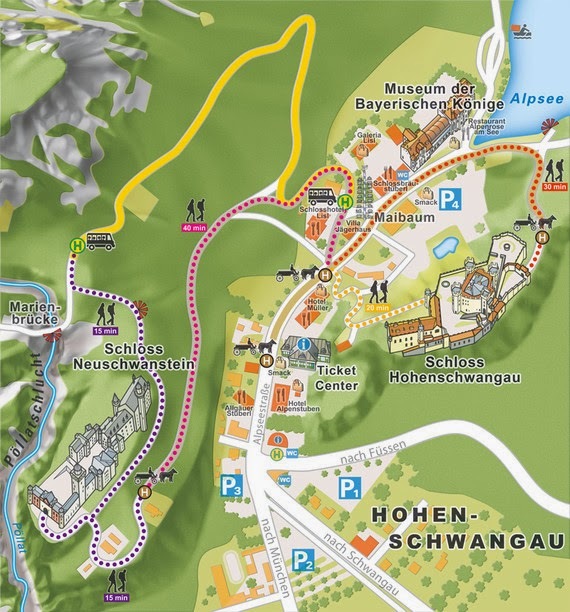 This map shows the ticket center, Hohenschwangau, Neuschwanstein and the paths to reach each one. 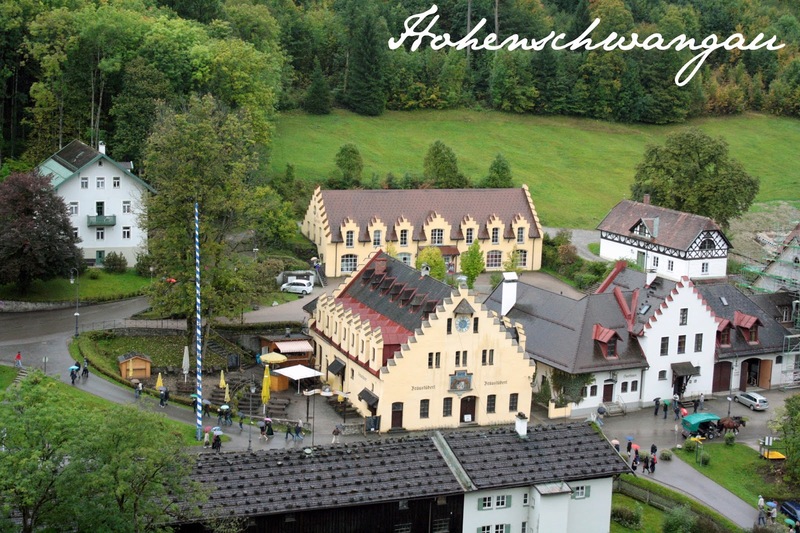 The town of Hohenschwangau has a few restaurants, hotels and a May Pole. 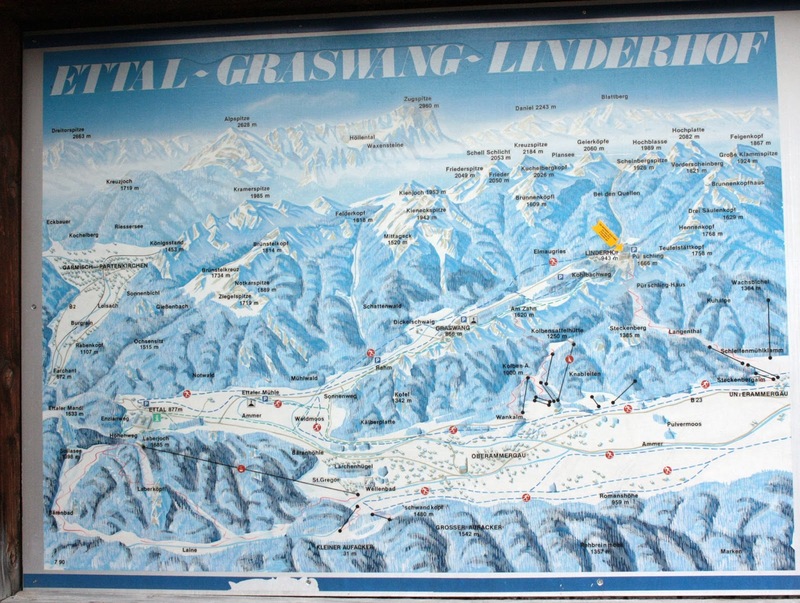 Tickets are purchased at the Ticket Center located in the middle of Hohenschwangau. There is a slight discount if you decide to see multiple castles or the museum in one day (ticket prices and hours) and there are parking lots near by that you can leave your car for 5 euro a day. 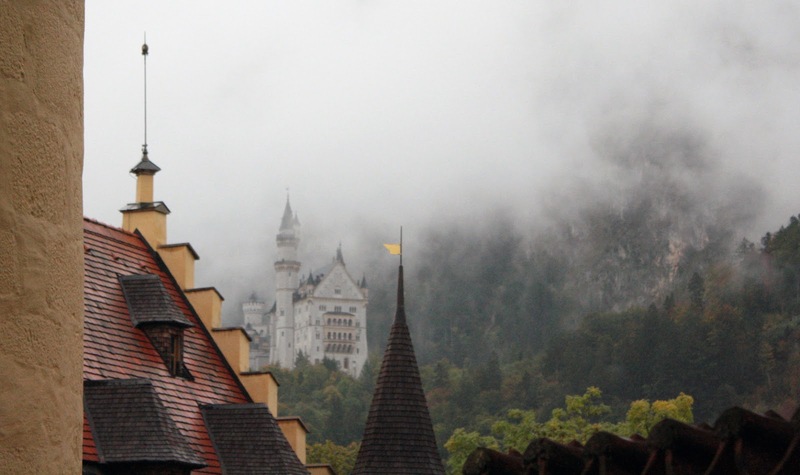 If you were staying at a hotel in Hohenschwangau you could walk but since we were 2 miles a way in Schwangau, and raining, we drove. You can also take a bus from the Fussen train station. The staff is quite helpful to help pick times of tours if you are seeing both sites. We opted for a carriage ride up to the castle for 6 euro, downhill is 3 euro, and is paid directly to the driver and takes about 15 minutes. A view of the castle from the gardens. 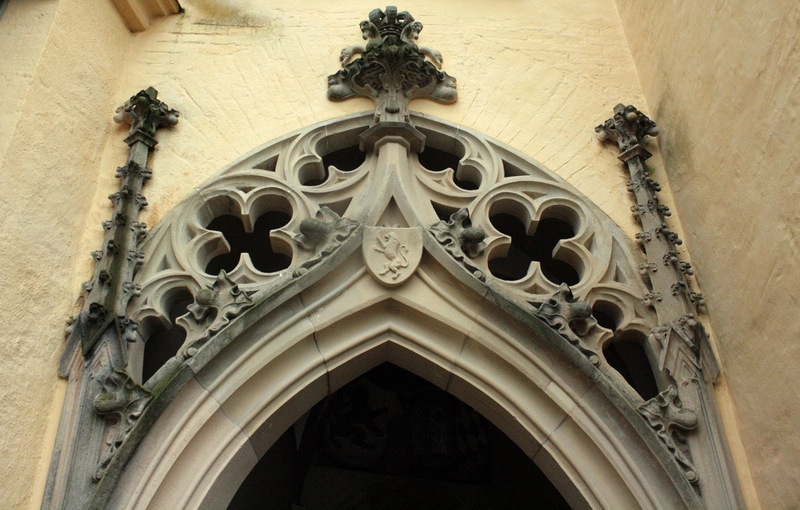 A gorgeous neo-gothic archway marks the entrance to the castle with quatrofoils and a crest of the Bavarian lion. 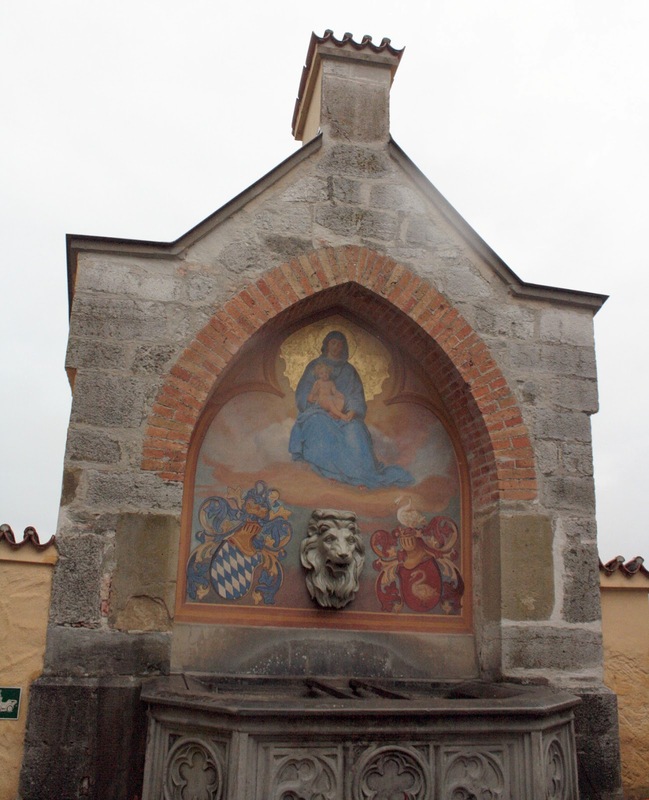 A well in the courtyard with a painting of the Virgin Mary, a lion's head spout, a crest of Bavaria and a crest of a swan which pertains to the area around the Schwangau region. 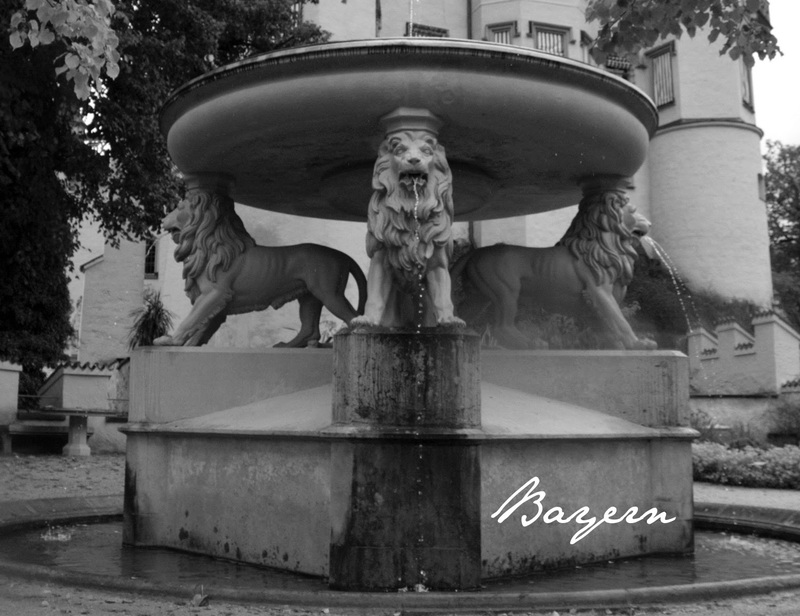 A fountain with four Bavarian lions. Photos are not allowed inside of the castle unfortunately. I found these beauties on line. 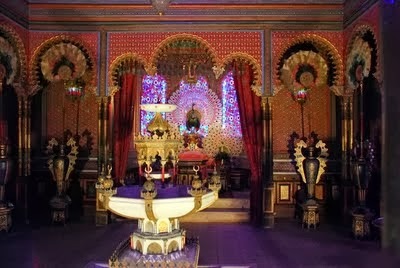 I love the gold and purple room! 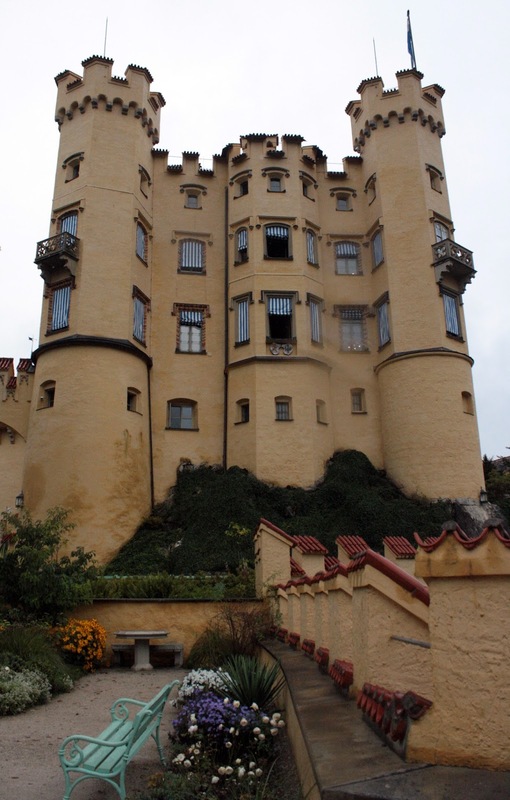 King Ludwig II would observe construction of Neuschwanstein from Hohenschwangau with a telescope. This is a view from the garden courtyard. 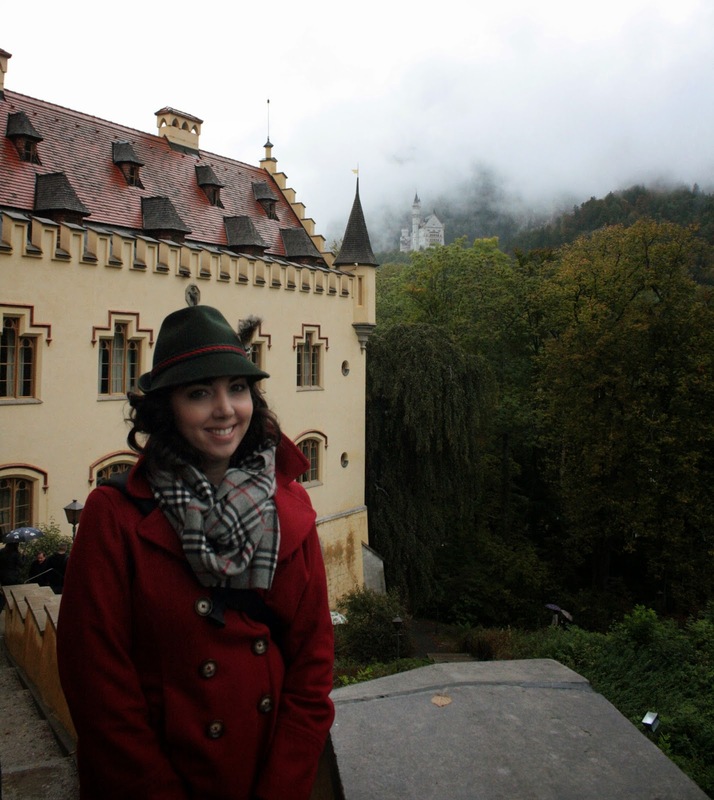 I borrowed my Dad's Bavarian hat for our trip to Germany - you will see it many more photos in future blogs. 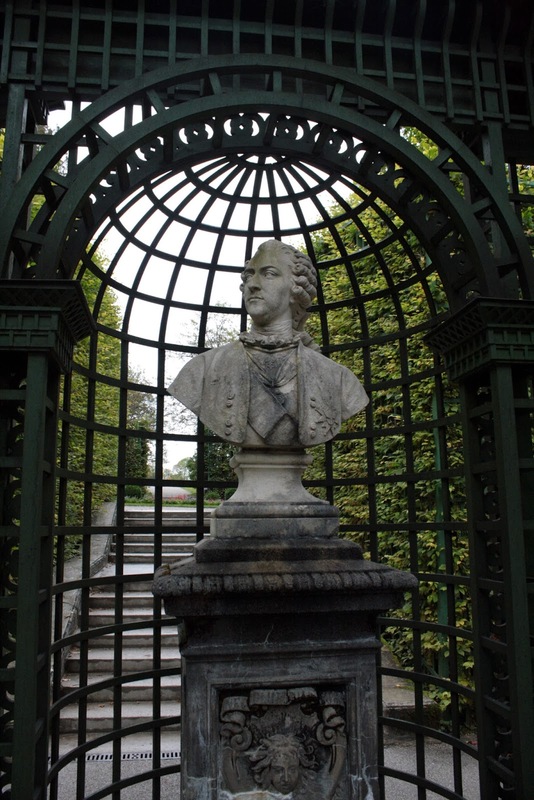 Ludwig II mother Marie was Prussian and his father Maximilian II was Bavarian. Bavaria was an independent kingdom until 1870 when Ludwig II joined the German Empire after the Franco-Prussian Wars. Ludwig II withdrew even more from politics after joining the empire and became quite the recluse. 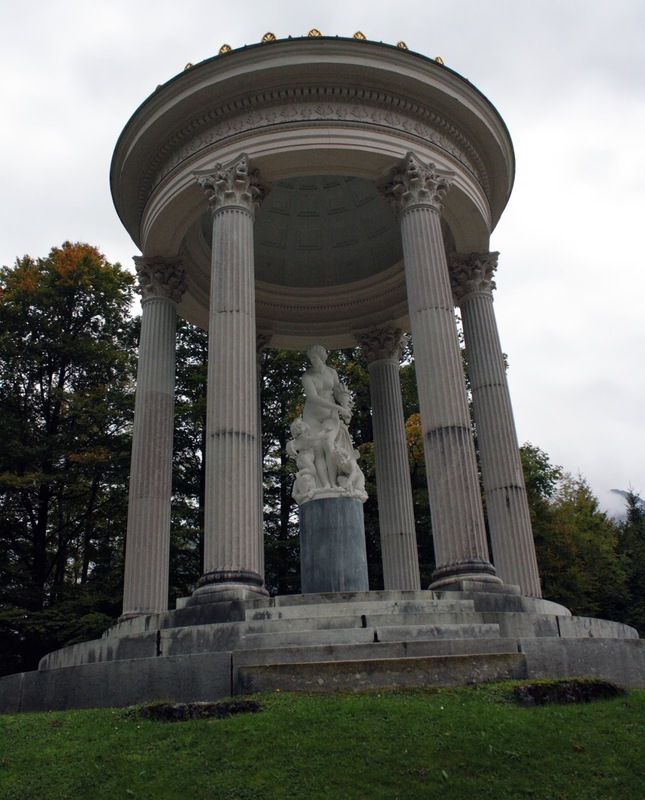 If you are interested in more information on Ludwig II's life check out this biography. 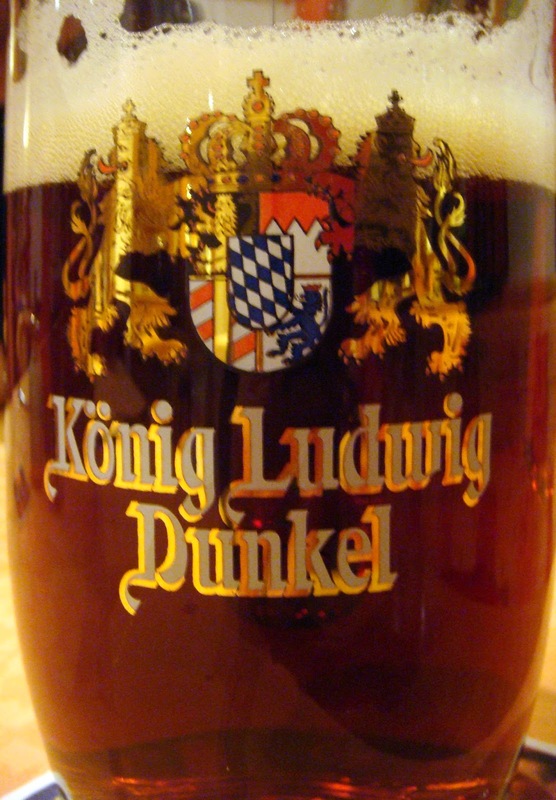 Being beer connoisseurs we had to try the local brew, Konig Ludwig Dunkel. It was amazing and I wish I could get it in the states. Very smooth and not hoppy - high drinkability factor. 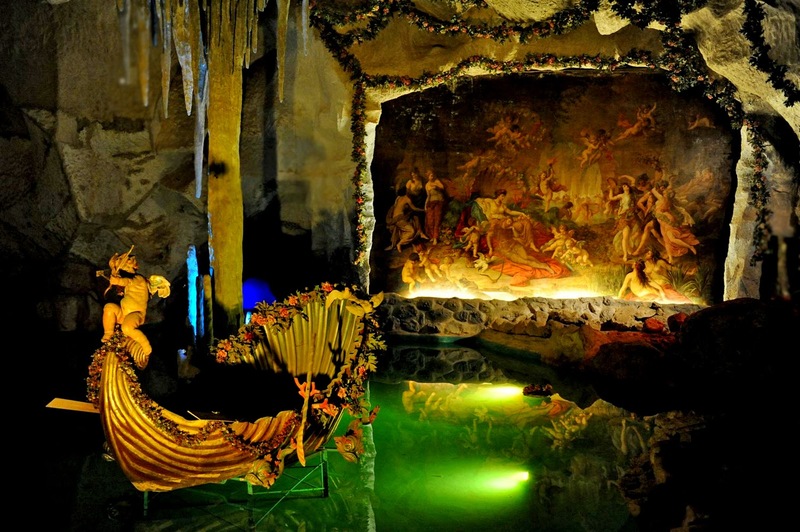 Have you visited the castles of King Ludwig II? What were your thoughts on the style? 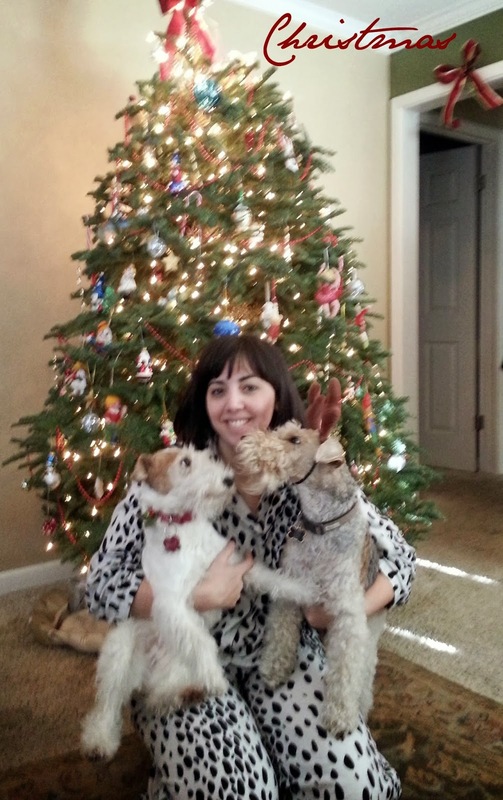 I love Irish Cream - more commonly known as Bailey's! I love it in my coffee, on the rocks, by itself, or in mixed drinks. Yield: 6 cups, 20 minutes cook time and 20 minutes of letting the mixture cool. 7. Store in the refrigerator in a lidded container or decorative bottle. Serve over ice, straight up, or in coffee. 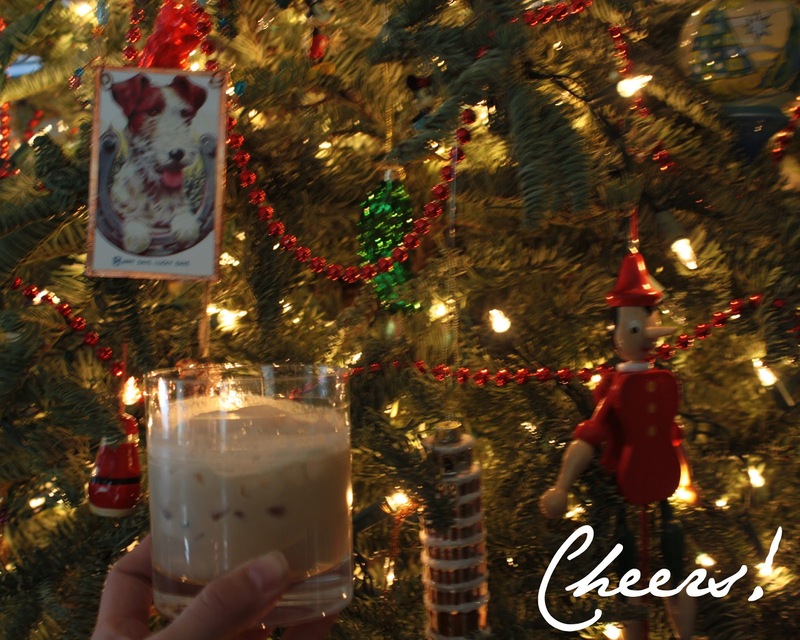 The Bailey's recipe is quite guarded so this is our best guess based on taste. The recipe that I modified included a 1/2 teaspoon of almond extract and overpowered the taste. I scratched it from recipe and increased the chocolate and the whiskey. 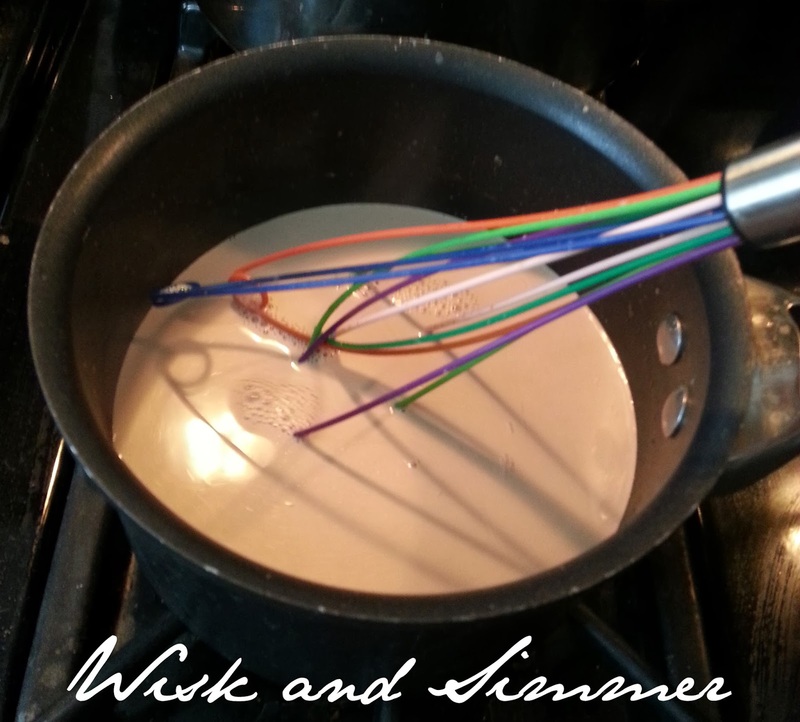 Our version is much smoother than Bailey's and I believe that it is because of the high quality whiskey. I considered using a lower shelf whiskey but I could not find one made in Ireland and I wanted to stay true to "Irish" cream. 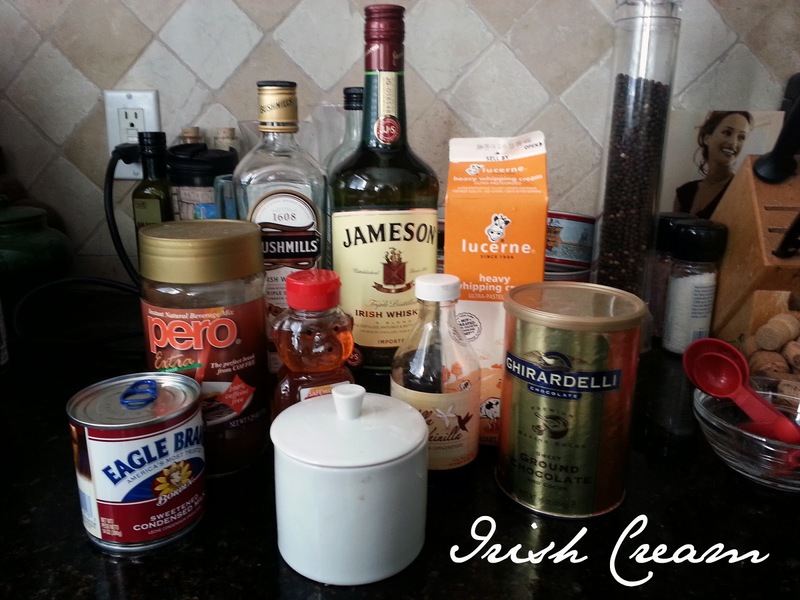 How do you like to drink Irish Cream? Have you made a liqueur before? 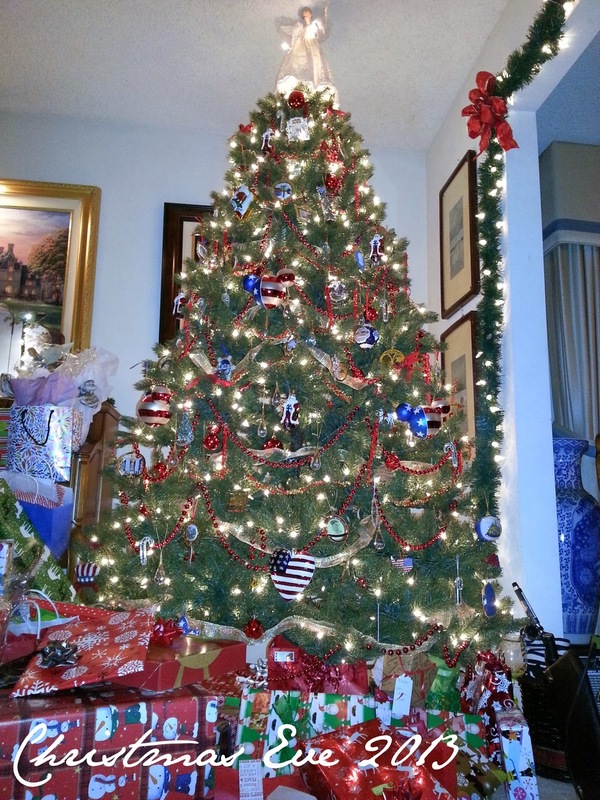 The Christmas tree at my parents house is a patriotic tree with ornaments from the White House and other red, white and blue baubles. 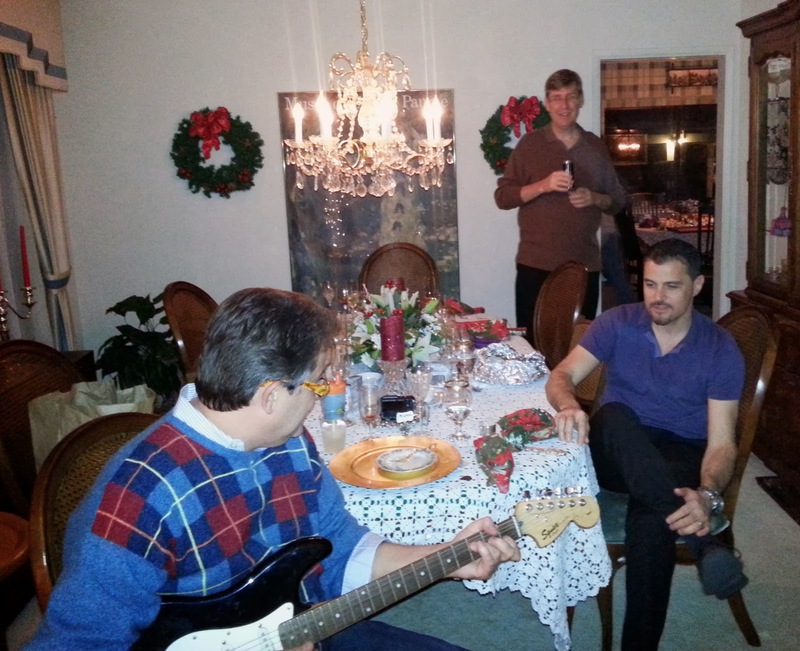 We gathered at my parents house last night for our annual Christmas Eve traditions. 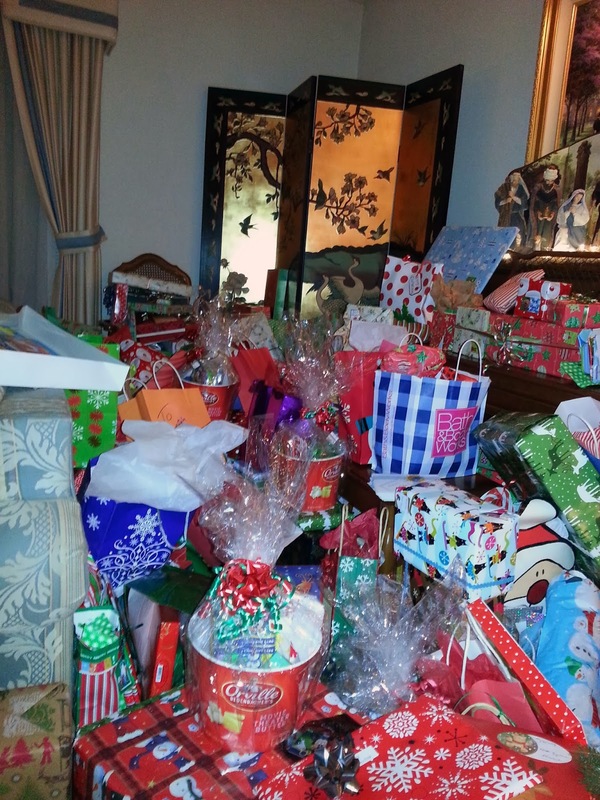 We were good this year! 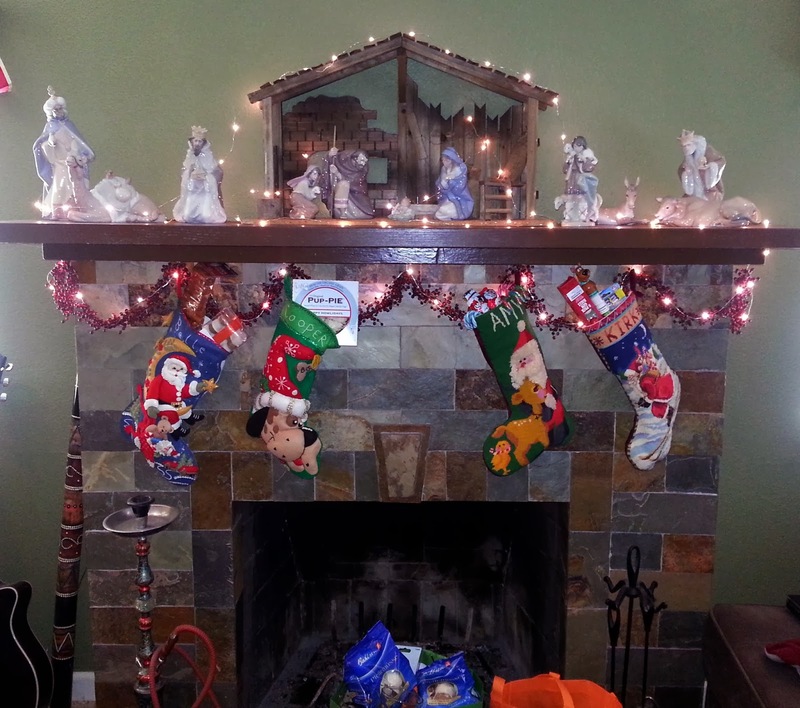 Santa filled all of our stockings to the brim and then some. 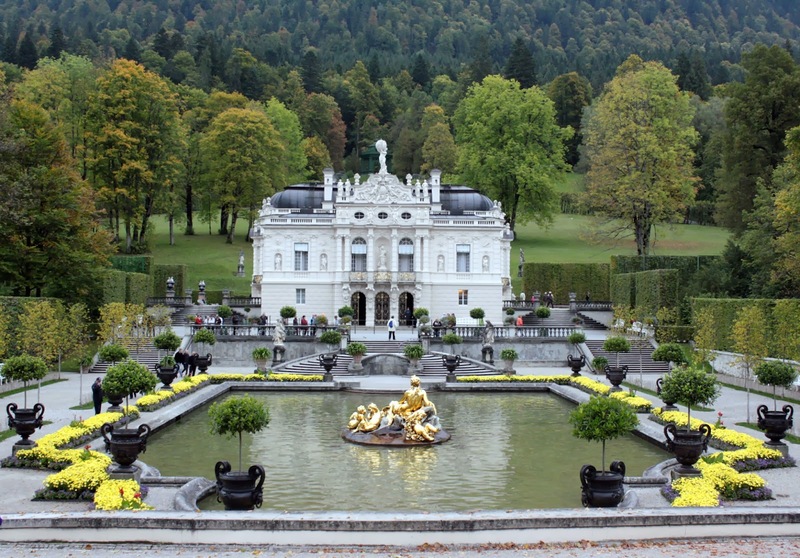 Linderhof Palace is the only building project that King Ludwig II saw to completion. His life was cut short mysteriously when he was found dead, floating in a lake at 40 years old. 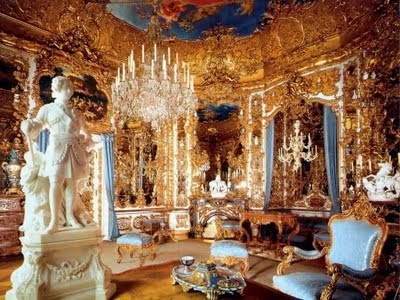 "Mad" King Ludwig most likely was not mad but quite eccentric. 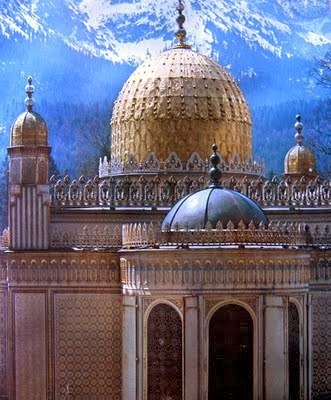 Linderhof is located near the Ettal Abbey in the mountains of Bavaria. 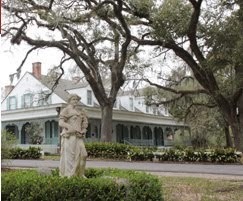 The main house is open year round but the gardens and park buildings are open Spring through early fall. Consult their website for exact dates and times. We drove from Rothenburg ob der Tauber to Linderhoff, along the Romantic Road, in about 3 hours. 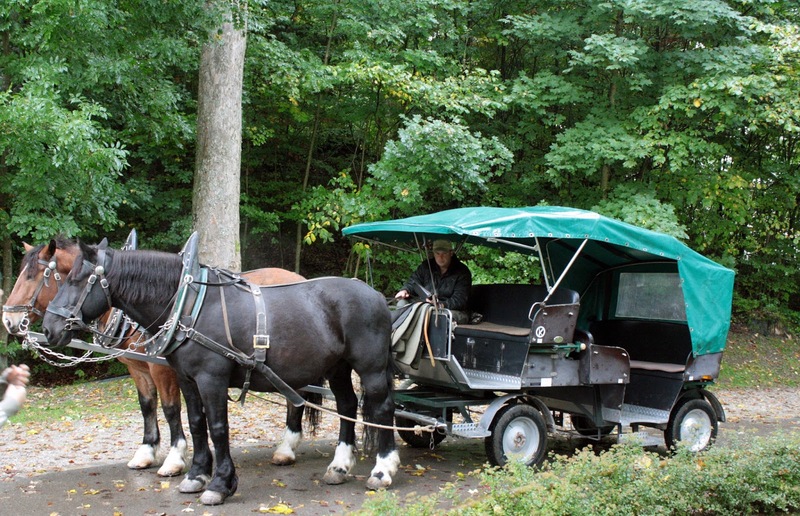 It is a very scenic drive and many places to stop off at if you wanted to make a day of it. 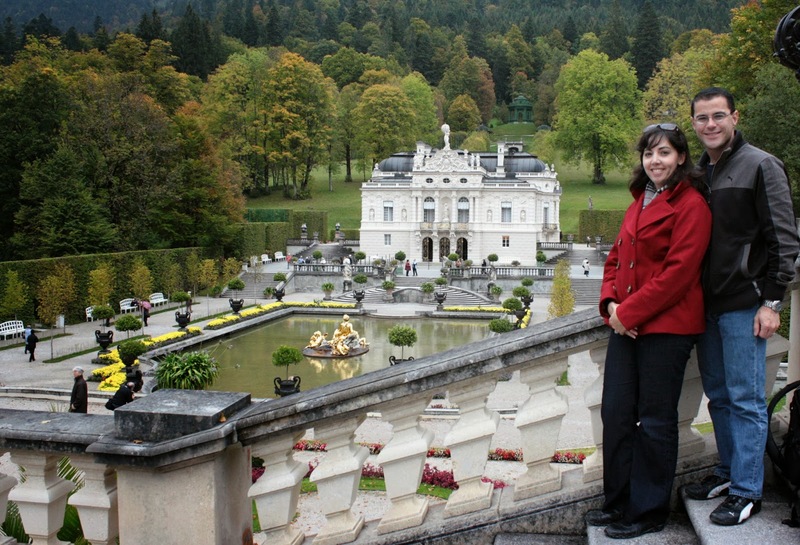 Our plan was to visit the palace, tour the gardens and a few of the out buildings before heading to Schwangau to stay the night. 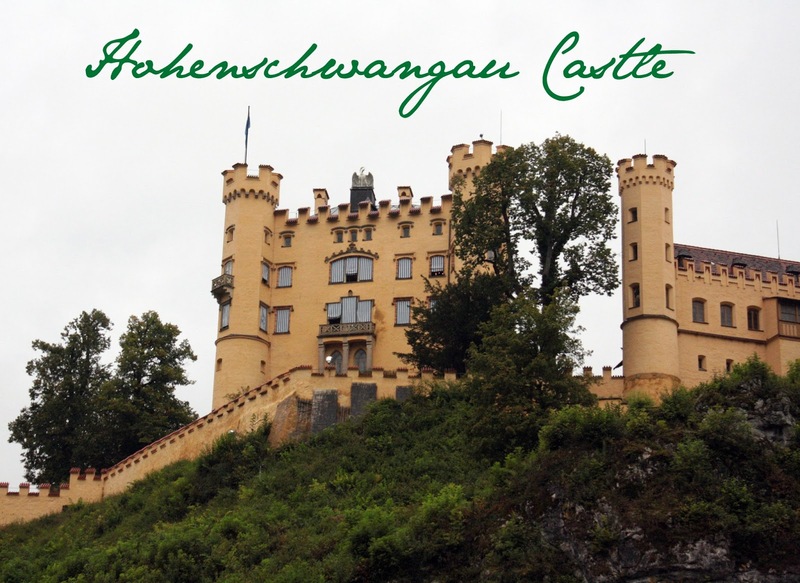 Schwangau is less than a mile from the famous Neuschwanstein Castle and Hohenschwangau (where Ludwig was born.) 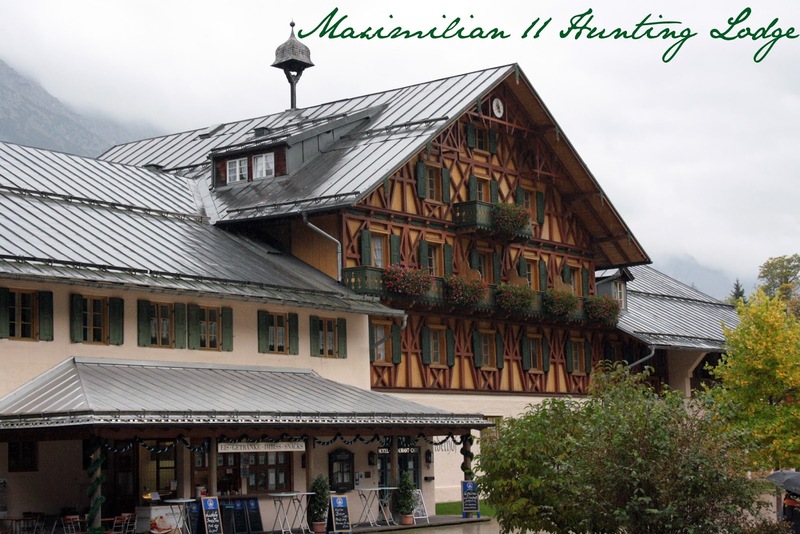 We stayed at Landhotel Guglhupf and loved it! We had a huge room and were able to unpack and breathe. The breakfast was delicious with home baked pastries - way beyond your usual European fare. There is not a restaurant on-site but there is one a few blocks away for dinner. 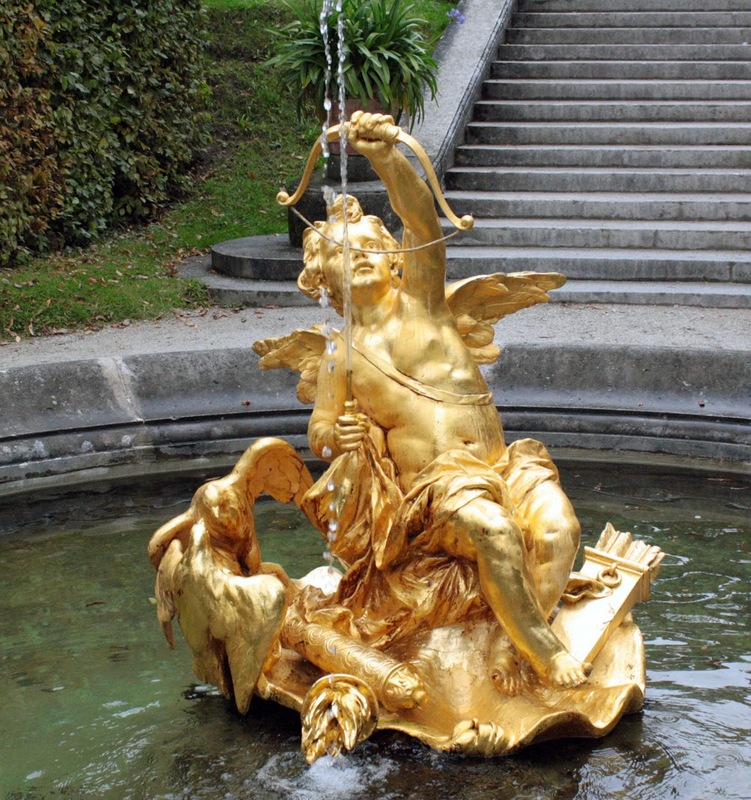 Ludwig Considered himself the "Moon King" a romantic shadow of the Sun King Louis XIV. 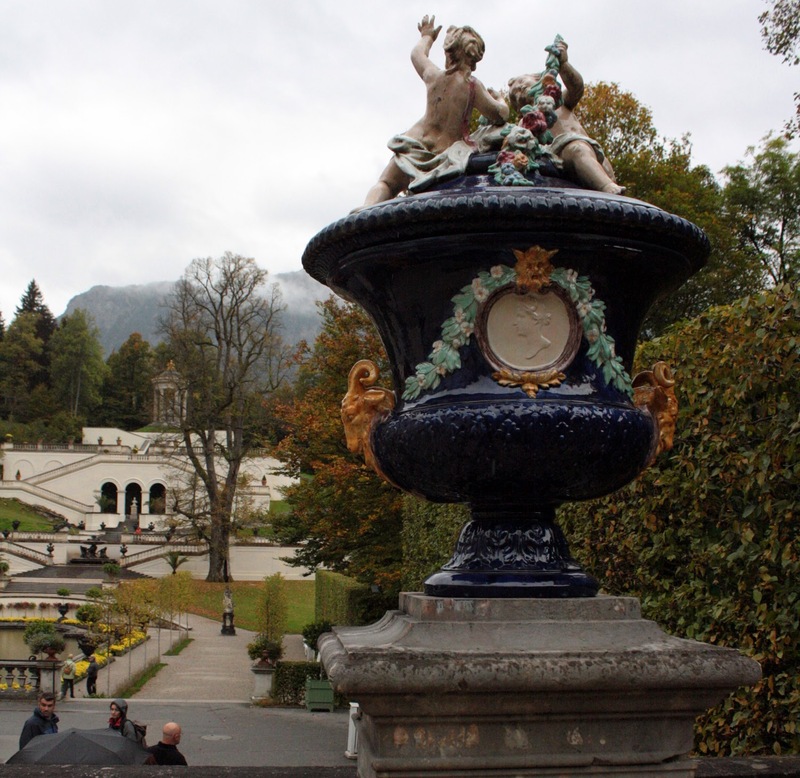 Many aspects of Linderhof will remind you of Versailles, but a much more compact version. 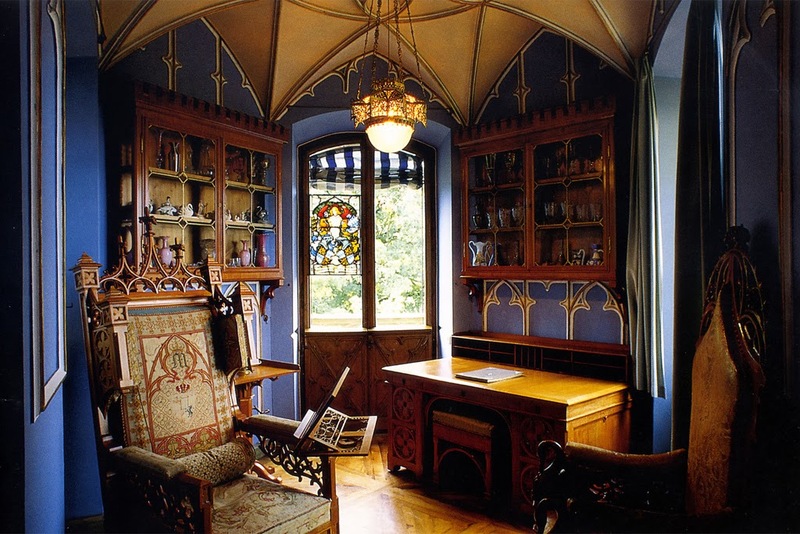 Maximilian II, Ludwig's father's, hunting lodge needed to be moved to finish the final build out of Linderhof. The lodge was relocated on the property and still can be visited today. 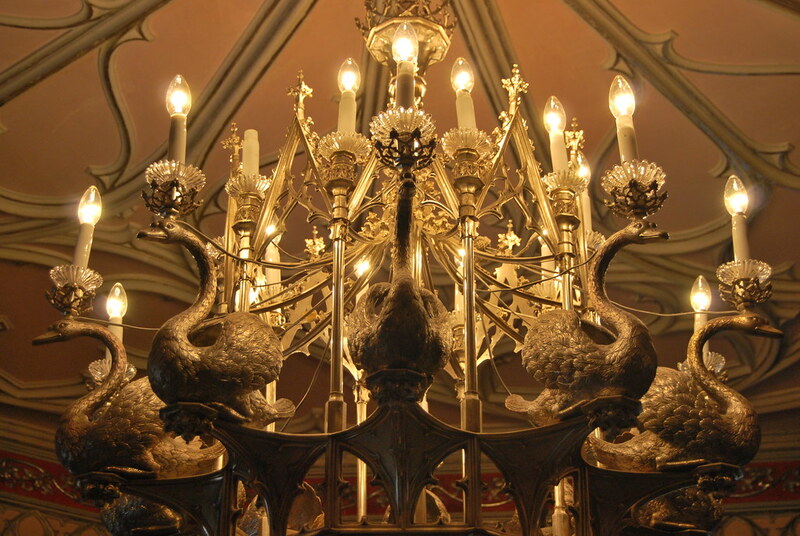 Have you visited any of Ludwig's Castles? Which one is your favorite? P.S. See Brittany at the Rococo Roamer for her post with aerial shots taken by her husband in a helicopter with a fresh dusting of snow! 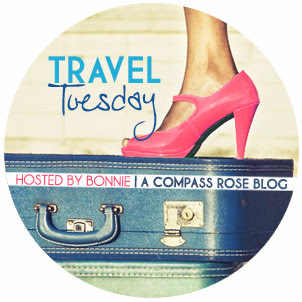 Tipsy Terrier Productions thanks you for stopping by.. Travel theme. Theme images by peepo. Powered by Blogger.